LAHORE: Former prime minister Nawaz Sharif has questioned the economic policies of the Pakistan Tehreek-i-Insaf (PTI) government and said they had made the lives of people miserable. 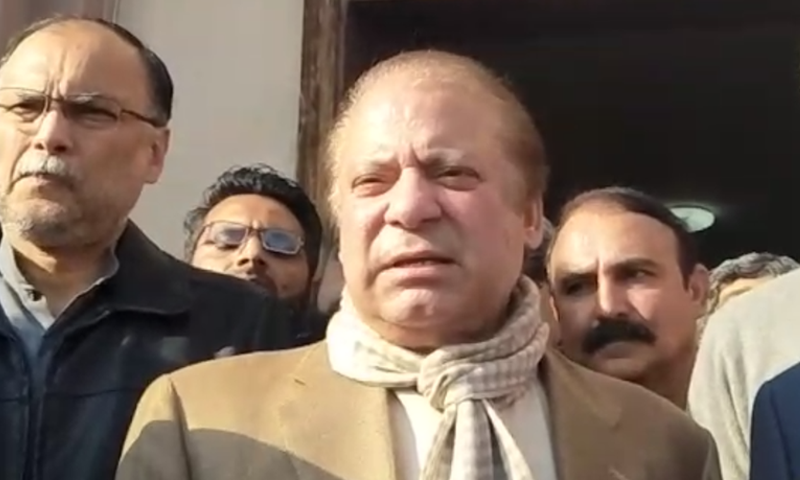 “The enemies of the country could not see Pakistan progress under me and today no foreign investor is willing to come here and the economy is taking a nosedive,” Mr Sharif was quoted as saying by a Pakistan Muslim League-Nawaz (PML-N) leader who met him in the Kot Lakhpat jail on Thursday. 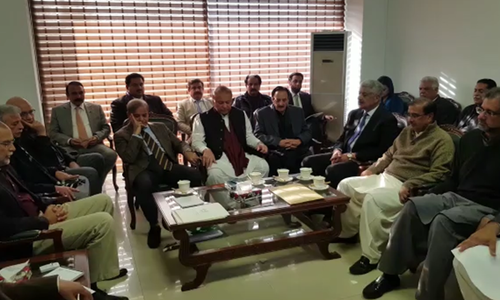 Some close relatives and many PML-N leaders met Mr Sharif in the prison, including his mother Sha­mim Akhtar, daughter Mar­yam Nawaz, former president Mamnoon Hussain, former prime minister Shahid Khaqan Abbasi, former National Assembly speaker Ayaz Sadiq, PML-N spokesperson Marriyum Aurangzeb, veteran leader Javed Hashmi, former minister Ahsan Iqbal, MNA Rana Sanaullah and MPA Azma Bokhari. A good number of PML-N workers also gathered outside the jail to express solidarity with their leader. They chanted slogans in favour of the former prime minister and against the PTI government. Mr Sharif told the leaders who met him that his government had put the country on the road to success but the progress was hampered by its [country’s] enemies. “If the country’s economy is run for another 10 years in the way it’s been currently handled, its debts will be doubled,” he said. “Under the PML-N government the value of the rupee appreciated and foreigners invested here,” said Mr Sharif. He said he was not afraid of cases and even incarceration. He expressed satisfaction that “in the people’s court the PML-N is still popular”. Mr Sharif pointed out that retired Gen Pervez Musharraf, who violated the Constitution, had been allowed to “hide abroad”. “The one who violated the Constitution [Musharraf] is living abroad on the pretext of a backache,” he said. Mr Abbasi and Mr Sadiq briefed Mr Sharif on the proceedings of the National Assembly and the PML-N’s stance on different issues. The PML-N supremo told them to continue with the party’s aggressive style of politics in the legislature. Talking to journalists, former president Hussain expressed concern over Mr Sharif’s health. He also criticised President Arif Alvi for seeking media publicity of his work. “As president I worked day and night but sought no publicity,” he said. He was also critical of Prime Minister Imran Khan for not properly running the country. He said the poor were suffering because of the economic policies of the PTI government. “There has been an unprecedented price hike in the country,” he added. Mr Hashmi said the PML-N and PPP leaders were being sent to prison not for corruption but for other reasons. “Some powers decided in this regard as the cases against the Sharif family were made in the 1990s. Mr Musharraf set up the National Accountability Bureau primarily to break political parties and force new leaders to emerge,” he said. 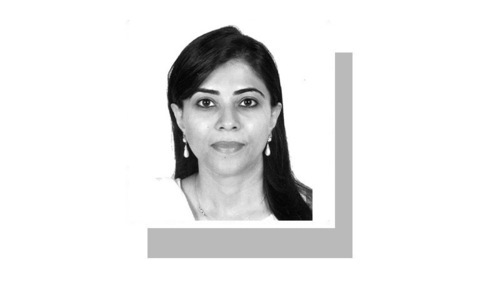 Expressing concern over Mr Sharif’s health, Mr Sanaullah and Ms Bokhari questioned the PTI government’s decision to form three medical boards to examine him. “Nawaz Sharif needs proper medical treatment and not a board,” Mr Sanaullah said and added that getting basic health facilities was a fundamental right of his leader. Ms Bokhari asked why the third larger medical board had not submitted its report to the government yet. “A delay in the submission of the report means depriving him [Sharif] of proper treatment,” she remarked. 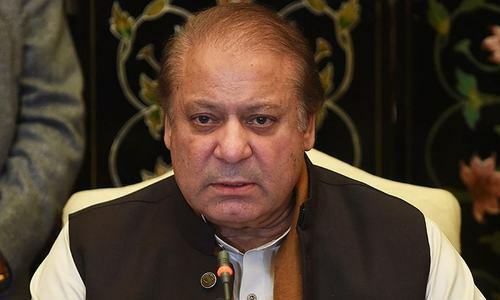 A six-member special medical board examined the former prime minister in the jail on Wednesday and conducted some blood tests. They are supposed to submit a report to the provincial government as soon as possible. PTI Government doesn't get any shares and send to London, Dubai or any other country like you. Look who is saying this. The same person whose government because of her naive understanding of the economy has put the country in quagmire of instability. During his government, exports decreased greatly, imports crossed 40 billion dollars mark, CAD and trade deficit widened and situation, when PMLN transferred power to caretaker government, was such that next democratic government had to mull over to take another bailout package from IMF. Stop telling lies to people. They ain't that much fool. Why a prisoner is allowed to issue political statements?